The funny diaries of an owl who’s just a bit like you. With dreamy colour pictures right through. We all love owls. But what’s it like to actually be one? 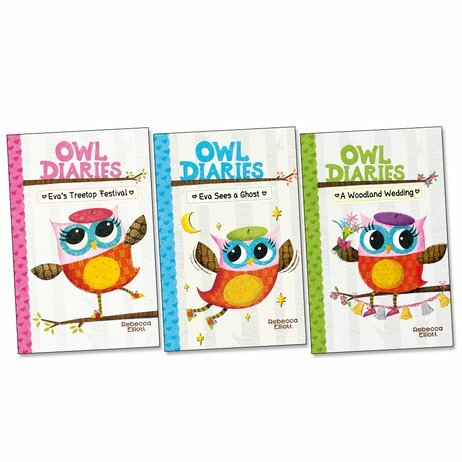 Find out in the secret diary of Eva Wingdale: an owl whose life isn’t a million miles from your own. (Apart from living in a treehouse, of course.) So – what are Eva’s hobbies? Chatting on her Pinecone phone, hanging out with friends, going to parties and drawing in this book. Her not-hobbies? Dealing with the meanie owl from school!